One thing we know to be true, Neighbourhood Heroes deserve to be celebrated. That is why last month our team decided to put a call out for nominees for a Neighbourhood Hero. The winner will receive a full scholarship to this year's Deepening Community national gathering – Deepening Community: Resilient Neighbourhoods · When People Care – with John McKnight, Vickie Cammack, Al Etmanski, Paul Born and community builders from around the world. "Kris Iverson always goes above and beyond for the community, school and neighborhood. He is head of the Parent council for St. Peters Elementary, on the board at the Penbrooke Community hall, as well as the Calgary – East Little League. Kris was also president of the Eastview Basketball Organization up until this past season. He is a very active part of the community and he is always volunteering to do whatever he can. Kris takes pride in getting to know the kids at the school and in his sport organizations. He knows them all by name, he is the first to say hello and ask how their day is, and he treats them with respect and is a fantastic role model. He participates in as many school events as he can, attends all the Virtue Awards and assemblies, volunteers his time for the fun lunches and St. Peter's Day festivities and takes his role as Parent Council President seriously. He is also a big part of the community center and spends a lot of time at community events helping out. He takes great pride in his community and is always promoting events and trying to get more people involved. "Dawn is a local drama teacher who started and currently manages the Wetaskiwin Composite High School Breakfast Program (with resources often paid for out of her own pocket). She also helped organize the High School's participation in the weekend Food Basket Program. Dawn facilitates the High School's Gay-Straight Alliance (GSA), and is a strong supporter of the community's GSA. She is also heavily involved in Talented Offerings for Programs in the Sciences (TOPS), for which she served as past president. Dawn is a hero because she cares and gives so fully of herself, despite also being busy with her own family (she and her husband, Jason have 2 young daughters). 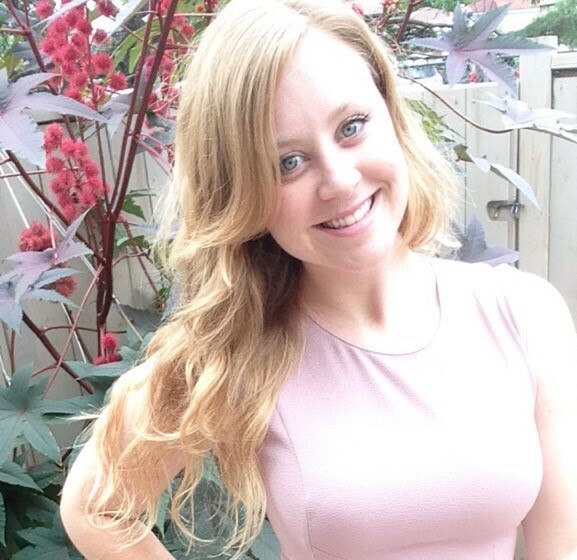 Dawn is always looking for opportunities to support and connect the community, and encourages others to share their own ideas and get involved. Dawn is a Neighbourhood Hero because she has been a positive community connector wherever she has lived and she makes the world a better place." So now you know who our Nominees are. What's next? 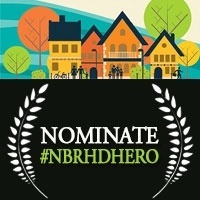 Both of our wonderful Neighbourhood Hero nominees will be featured on our website and it is up to YOU, our learners, subscribers and supporters to get online, share the contest and encourage people to vote for this year's #nbrhdhero!Voting takes place from May 2nd – May 8th and the nominee with the most votes will win a full scholarship to join us in Edmonton from June 7-9 for Deepening Community 2016: Resilient Neighbourhoods · When People Care. A Neighbourhood Hero is someone who has mastered the act of caring, and who understands the art of neighbourliness. Thank you for helping us celebrate those who make a difference in our communities and thank you to both Kris and Dawn for making your corners of the world more vibrant, happy and caring places to be. To learn more about our #nbrhdhero nominees and to cast your vote check out our #nbrhdhero webpage! Interested in the work of Deepening Community? Want to connect with other like-minded folks? Check out ouronline Learning Community!